The Chin filmfaced plywood is an imported type of plywood that is mainly used as loose slab formwork panel for concrete surfaces without special requirements. 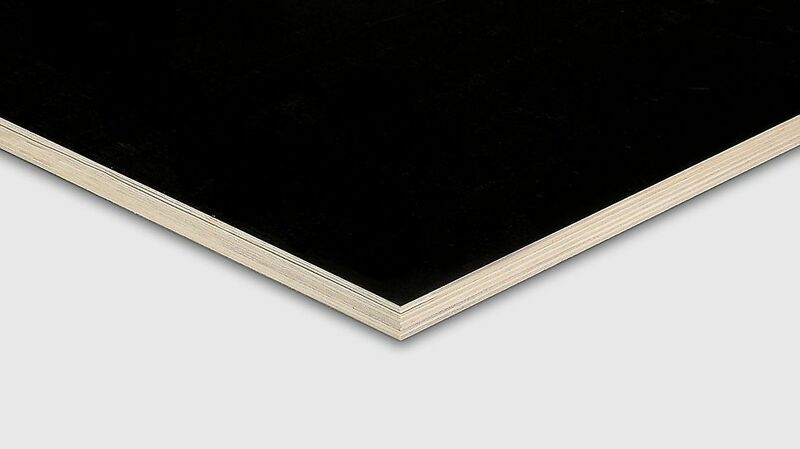 The panel is wbp-bonded, has an ongoing poplar structure and a coating of about 200 g/m² on both sides. Apart from the standard 21-mm-panel, also panels with thicknesses from 4 mm - 18 mm are available. Upon request, also a structure with birch alone can be produced.